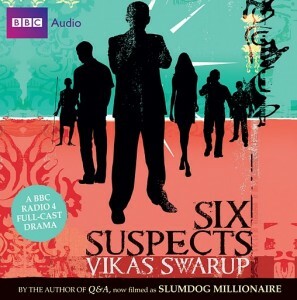 In this jam-packed week, we have the 3rd chapter of The Cleansed, followed quickly by our 2nd chunk of Six Suspects by Vikas Swarup, adapted by Ayeesha Menon and produced by acclaimed BBC Producer John Dryden. At a lavish society party to celebrate his acquittal, he is himself murdered. Who did it? We get a bit more of this remarkable production, and then the real treat to chat with John Dryden himself. John, quite the globetrotter, tells us about his transition from a BBC Documentary reporter to dramaturge, and how journalism inspired him to create gritty, real-world inspired dramas recorded on location. We talk about his upcoming production PANDEMIC, which will be airing this week on BBC Radio 4.